Mercedes-Benz GLC Performance, Engine, Ride, Handling | What Car? The lower-powered version of the four-cylinder 2.1-litre diesel engine (badged 220 d) is fast enough to satisfy the desires of most SUV buyers. The 250 d model is noticeably stronger at low and mid revs, however, which allows the standard nine-speed automatic gearbox to keep the engine revs low and whisk you up to speed in a more relaxed fashion. It’s worth the relatively small premium. The 3.0-litre V6 diesel (350 d) gets the same nine-speed gearbox, and its engine and 'box work well together. 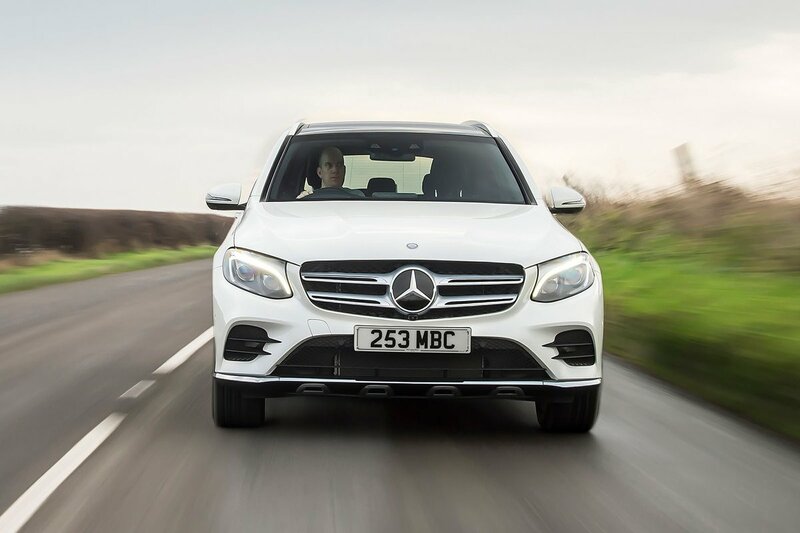 The V6’s smooth power delivery helps make it the most luxurious GLC to drive, although it’s capable of keeping up with hot hatches should you need it to. If you want petrol power then there’s a 2.0-litre (250) four-cylinder option available . In an outright sprint it’s quicker than the 220 d and 250 d, and feels nice and zingy around town while remaining unflustered if you ask it to stretch its legs at higher speeds – but the 350 d still offers the smoothest performance. 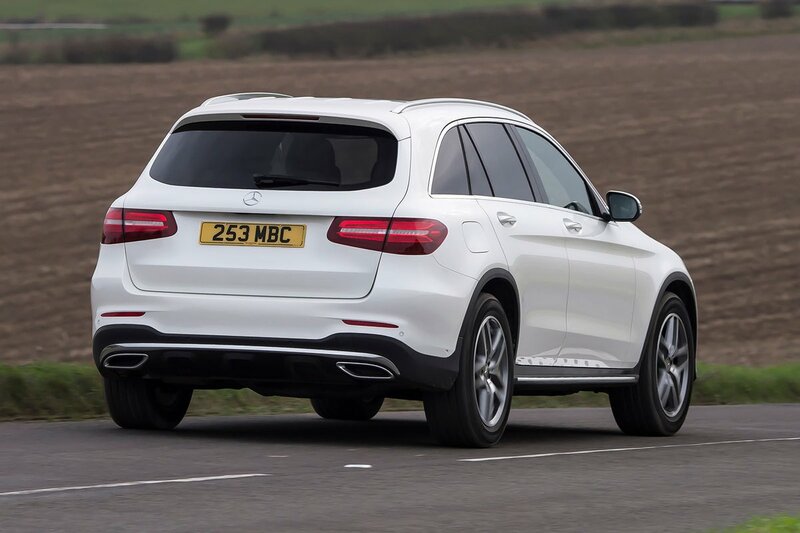 At the performance-focused end of the GLC lineup you have the AMG 43, AMG 63 and AMG 63 S. The 43 is powered a 3.0-litre twin-turbocharged V6 petrol engine with a nine-speed automatic gearbox. It’s incredibly quick, beating the Porsche Macan and Audi SQ5 for straight line pace. Just be aware that this impressive performance comes at the price of terrible fuel economy. The V8 63 is even more monstrously quick, and the 63 S a smidge quicker still. Sure, opt for these AMG beasts and the running costs will rocket, but you certainly won’t be disappointed with the ferocious pace on offer. Opt for Urban Edition or Sport trim and you’ll get the softest of the two conventional suspension set-ups available. Common sense might suggest this is the better option if you want a comfortable ride, but in reality there's too much side-to-side movement along any road that isn't perfectly smooth and your head is continually tossed from left to right. Potholes also flummox the suspension too easily, particularly when strong cornering forces are involved, where the GLC can skip and shudder nervously. The firmer sport suspension – fitted to AMG Line and AMG Night Edition models – is a little less forgiving over bigger obstacles, such as speed bumps, but is actually the more comfortable set-up overall. It brings a more controlled ride with less pitch and wallow, and more effective damping over potholes and broken surfaces. That’s still true if you choose to upgrade from the standard 19in wheels to the optional 20s. However, it’s the air suspension that’s the most impressive on UK roads. It’s not available with Urban Edition models, but can be added as an option to Sport, AMG Line and AMG Night Edition and is standard on the full-fat AMG models. It does an impressive job of smoothing out imperfection, even if you have a GLC on big 19in wheels. 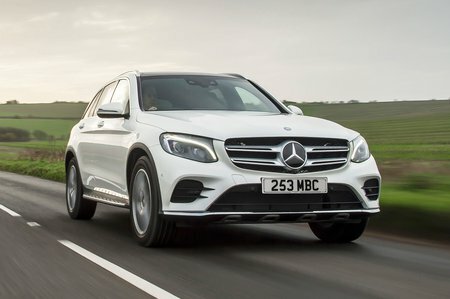 The Mercedes GLC handles well enough for a large SUV. Even models with the standard suspension stay relatively upright through corners and grip the road well, while the firmer suspension and lower-profile tyres of AMG Line and AMG Night Edition models result in a more precise front end that responds more promptly to steering inputs. If you want a more thrilling driving experience, the range-topping AMGs are your best bet. All are good fun when you're driving briskly, but to push really hard is to discover how the cars’ electronics are far too intrusive. They conspire to hold the engine’s power back and prevent you from accelerating hard out of slower corners, allowing sporty rivals such as the Audi SQ5 to romp away into the distance. Whichever version you choose, however, it’s a real pity the GLC’s steering isn’t better; it weights up in a rather unnatural way when you turn in to corners and, because the steering is variable (it gets progressively quicker as you apply lock), it's hard to corner precisely at faster speeds. The GLC’s four-cylinder diesel engines (as found in the 220 d and 250 d) are quite gruff. There’s a chug at tickover and an uncouth rumble as the revs rise, but we could level the same criticisms at the rival BMW X3. In fact, the only close rival with considerably better engine refinement is the Audi Q5. The 350 d V6 diesel is in a different league – it’s never noisy and always smooth, no matter how hard you push it. The petrol 250 is also pleasantly hushed, particularly at low speeds where it’s far quieter than the four-cylinder diesel alternatives. Meanwhile, the range-topping AMG models all howl evocatively whenever you put your foot down. The standard nine-speed automatic gearbox shifts smoothly most of the time, even if it’s a little jerky at very low speeds. At the same time, the stop-start system (which cuts the engine when you come to a halt to save fuel) isn’t the smoothest of its type, causing a pronounced shudder when the engine comes back to life after a pause. There's also a fair bit of road noise if you choose big wheels, which makes motorway journeys less peaceful than they might be.